When the sunny climes of the Caribbean are calling, give in and head for the Dominican Republic’s Amber coast. 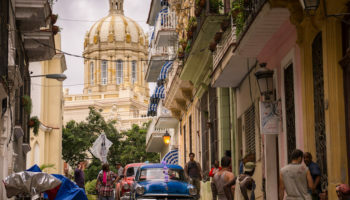 A haven of golden sands and the bright blue Atlantic on the north coast, Puerto Plata hosts many fine resorts, exquisite and lovely, but also affordable for those who go for the all-inclusive package. 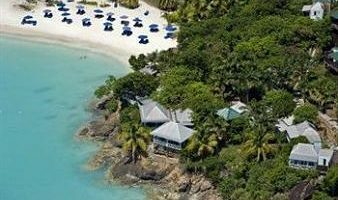 All the delicious food, drink and entertainment keep many resort visitors happily on site, but adventurous souls will find ziplining, waterfall climbing and mountain biking waiting for them in this most geographically diverse of the Caribbean islands. Poolside and on the beach guests can relax in the sun or shade, sipping cocktails while lounging or indulge in any number of water sports such as windsurfing or beach volleyball. A trip to one of Puerto Plata’s all inclusive resorts grants families, groups and newlyweds a magical time of sun, sand and sea. The sister club to Hotel Riu Merengue, Riu Bachata offers an all-inclusive holiday of tranquil lazing on the beach or active windsurfing fun, great meals and all the beverages and snacks a guest might desire. Abundant sun loungers around the pools and on the beach provide time in the sun or shade for all. Aquatic sports, golf, winning a few hands at the blackjack table or lazing on the beach keep guests at Riu Bachata happy and planning return visits to this slice of paradise. 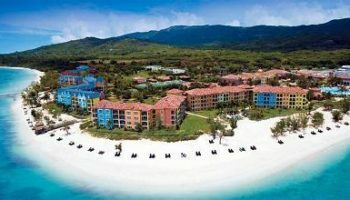 The resort is situated about 10 km (6 km) from Puerto Plata. A lovely beach, varied daily entertainment, gracious palm trees, abundant tropical flowers and the sparkle of sea, sand and sun make staying at the Barcelo at Puerto Plata a wonderful dream. Sports lovers can enjoy the next-door Robert Trent Jones 18-hole golf course as well as windsurfing, sailing and kayaking in the ocean. 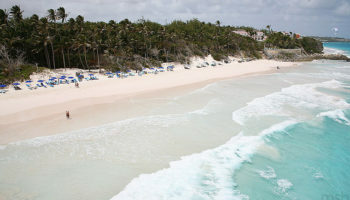 An all-inclusive stay includes meals and drinks at 8 restaurants and 4 bars by the pools and beach. A children’s program entertains the little ones while older kids play in the pool. A nightly show after a delicious dinner at the Dominican, Brazilian, Mexican or the Marinero seafood restaurant rounds out the day’s activities. 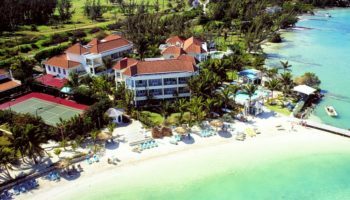 Visitors who choose to holiday at Be Live Grand Marien will enjoy the sheer beauty of the resort set in tropical gardens by the sea. A variety of restaurants entice guests with fabulous aromas, while a variety of lounges and bars offer cocktails all day (and night) long. 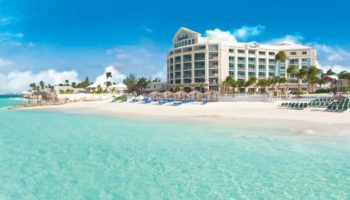 All-inclusive meals, beverages, entertainment, rooms tastefully appointed in Caribbean style, pools and beaches, fitness club and spa make the Grand Marien an affordable dream vacation spot. Guests can relax on the beach, join in a raucous game of water polo or canoodle up to the poolside bar for a tropical drink. Located on Costa Dorado Beach just minutes outside of Puerto Plata, the Iberostar Costa Dorada family resort features 498 standard rooms and 18 luxury suites. Designed with Spanish colonial and Creole influences, this charming hotel offers 3 restaurants, swimming pools, a playground, fitness room and spa with Jacuzzi tubs and steam baths. 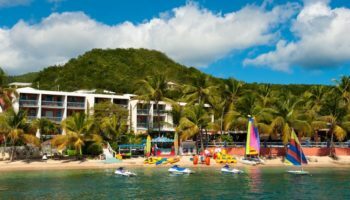 A gorgeous setting, fun entertainment staff and all around high quality service make visits to this resort a treasure—an affordable treasure via the all inclusive package. All meals, drinks, taxes and fees, accommodations and special services are included. 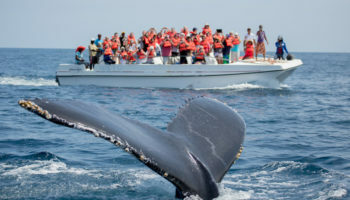 Excursions on offer include a trip to Paradise Island or the cable car up Mount Isobel. An all inclusive package at the Hotel Riu Merengue means exactly that—great accommodations, delicious dining and beverages, both alcoholic and soft drinks, daily activities for kids and adults, nightly entertainment at the disco or winning a few hands at the casino and access to the club’s sister hotel, the Hotel Riu Bachata, not to mention the gorgeous golden sand beach. Guests can indulge in a massage at Renova Spa or snorkel in the blue waters. Children enjoy the dancing, crafting and games at the daily RiuLand kid’s programs. 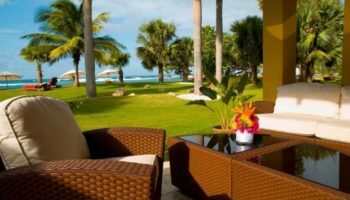 An award-winning Dominican Republic resort, BlueBay Villas Doradas presents a picture-perfect setting on the sandy beach of Playa Dorada and its impressive 18-hole golf course. Designed especially for adults only, this all-inclusive resort in Puerto Plata makes an ideal romantic getaway or honeymoon. Guests can choose between elegant, private rooms or luxurious suites with terraces. Leisure options here range from spas to water fun like windsurfing, diving and sailing to horse riding trips. Couples can also take advantage of classes for massages and sushi and cocktail-making. A visit to the Lifestyle Tropical can be as rockin’ or relaxed as a guest may desire. Guests who love lazing in the lap of luxury can snooze on the beach beds on Confresi Beach or enjoy the poolside bar. Those who live to be active can go from a scuba lesson to golfing to kayaking and snorkeling, tossing in a dance lesson or two. 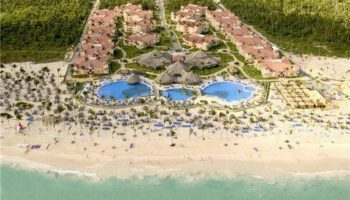 Eleven restaurants, 12 bars and lounges, three night clubs and a variety of pools and beaches and fun for the kids are all inclusive. 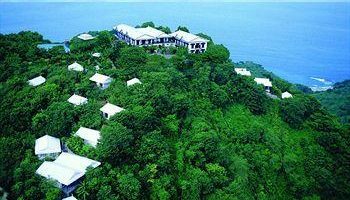 The buildings at the resort are 3-story Mediterranean style, amid Caribbean influenced roofs and cobblestone walkways. Excursions outside the resort are excellent, but one hardly wants to leave this beguiling spot of paradise. 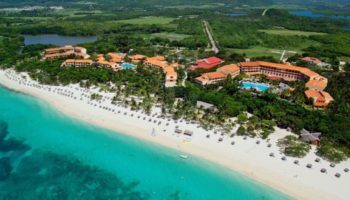 First time and return visitors rave about the VH Gran Ventana and for a good reason: this resort’s high quality service by friendly staff and the jewel-like beauty of the setting. Elegant Caribbean décor in the spacious rooms charm guests into the relaxed mode that makes holidays so special. All meals, beverages and snacks are included and minibars in the rooms are restocked daily. Gran Ventana’s entertainment team keep visitors as busy as they wish to be, while evening shows get them dancing. Children have their own pool and Kid’s Club programs so their parents can enjoy the adults’ pool with swim up bar or catch up on email with free wifi. Close by lies a champion-designed golf course and lovely Puerto Plata itself with lovely shops, museums, discos and casino.